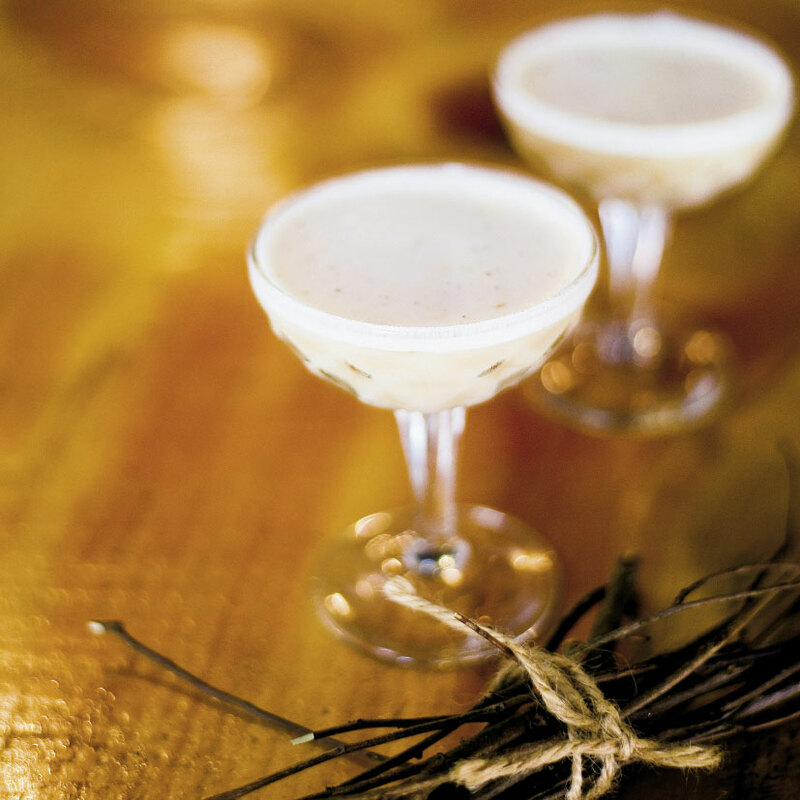 ’Tis the season for eggnog, though after a feast with all the fixings, the thick, milky bourbon- or rum-based concoction might not leave you all snug in your bed. Alternatively, the version Nate Allen shakes up at Spoon craft cocktail bar in Spruce Pine is very light and complex in flavor. Holidays with Eve “is a mischievous drink,” he says. “It doesn’t seem strong but has quite a punch.” Made with apple and peach brandies, Cynar artichoke liqueur, bitters, and a hint of milk, it’s a balance of sweet, sour, and savory. And in keeping with the mission of his restaurant, Knife & Fork, Allen opts for locally foraged and grated spicebush as a finishing touch, though he notes that nutmeg or allspice are easy substitutions.